This is a sponsored post. The good folks at Skindanavia sent me a free sample to try and tell you what I think of their product. All opinions are 100% mine. Now if you are like me, you dread the summer. Not only for the heat, but for the oily mess your face will become, especially the forehead. 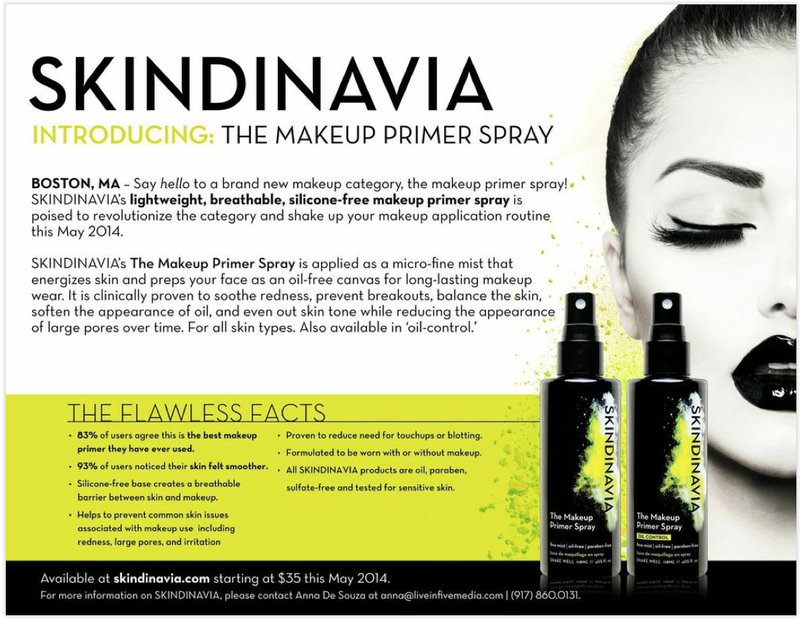 When Skindanavia contacted me to see if I'd like to try their product I jumped at the chance. I have tried almost everything. The blotter papers, the special corn silk powders, oily control foundations, etc. Nothing worked. I was a bit skeptical with this primer spray but I gave it a try. I spray it in an X form over my face and wait about a minute before I apply my make up. Lo and behold my shinyness was not bothersome at all! All day long I could see where my makeup had begun to fade by noon but the oilyness was not very noticeable. I now use it everyday. Heck I'll even give you a bottle. Shipped to the continental US only please. In the meantime, check out their website.